If you have a week or just a long weekend, Amsterdam is a great city to visit- especially in the summer! Amsterdam will quickly captivate you. There are over 300 festivals that place in Amsterdam – with most happening in the summer months. No matter when you visit, there is likely something going on- from food festivals to cultural carnivals to dance and music events. You can have a picnic in one of the many city parks. There is always a good street market, with vendors selling everything from antiques to farm fresh produce. From July to September, you may be lucky enough to catch an outdoor movie set up with Amsterdam’s top sites as a backdrop (check out more info HERE) OR you can go to an outdoor theater in Vondelpark for free. You can rent a bike and ride around the city, just like the locals do. Just 1/2 hour outside of Amsterdam by train, you can hit the beach areas of Bloemendaal and Zandvoort. At night, many of 1,200 bridges spanning 160 canals are lined with tiny lights, giving them a fairy-tale appearance. One of the best things about Amsterdam is its people. Many speak English fluently and virtually all are friendly to visitors. Sit down in a brown cafe to enjoy a beer or a jenever (gin), and you can find yourself chatting with a friendly local. These are some top reasons that Fodor’s magazine listed as reasons to visit Amsterdam. “Golden Age canals: Hop aboard to glide past mansions shimmering on a summer’s day or under bridges twinkling with fairy lights at night. Amsterdam from the water is astonishing. Two wheels good: Experience the best cycling city in the world and zip about like a local. Everybody, but everybody, cycles everywhere. Secrets in the city: Explore a cultural capital packed with surprises. The hidden courtyards of old almshouses, elegant gardens tucked behind 17th-century facades, a hidden church in an old merchant’s house. If any of these sound like things you would enjoy, contact My Vacation Lady and we’ll help plan your vacation to Amsterdam! 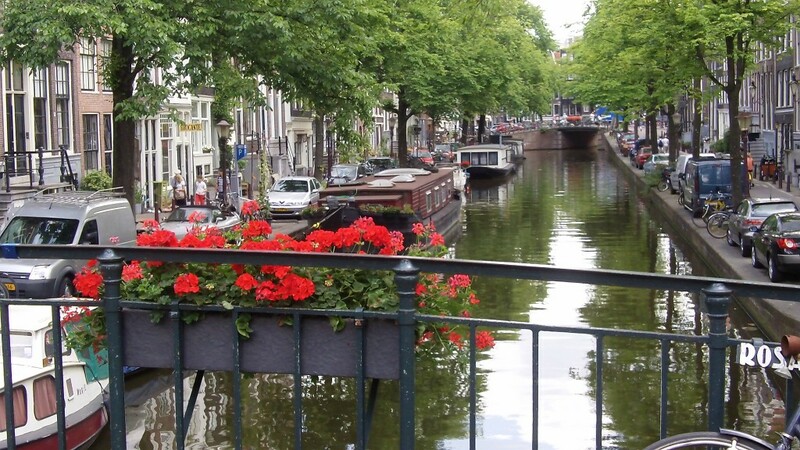 With some great nonstop flights going to Amsterdam year round, this might be a great place for 4-5 nights for a quick getaway for couples, friends or as a girl friend’s getaway!